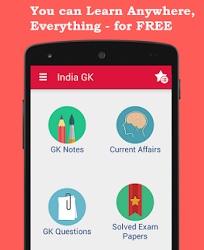 1st, 2nd November 2016 Current Affairs MCQs, Quiz, Questions: Current Affairs for October 2016, Daily Multiple Choice Questions (MCQs) for India GK, World GK and current affairs with Collection of daily objective type Question by www.Indiagk.net based on General Knowledge (GK) and General Science (GS) Questions for UPSC, State PSC, SSC, Police exam, Railway exam, SBI, Bank PO, IBPC, SSC, LDC, UDC, Army, Airforce, Navy, Coast Guard, Bank Clerk, TET and all entrance examination with current affairs News, Multiple Choice Questions (MCQs) available on Website www.IndiaGK.net and Android Apps with daily updates:. Which state became the third in India to become Open Defecation Free (ODF) on 1 November 2016? Name the Head of Twitter India who resigned from his post on November 1? Who has been appointed as the new Prime Minister of South Korea? Kylie Verzosa, who has been crowned Miss International 2016, is belonged to which country? The RBI has opened its second office of the Banking Ombudsman in which city?